I really thought I could wing it on my own. 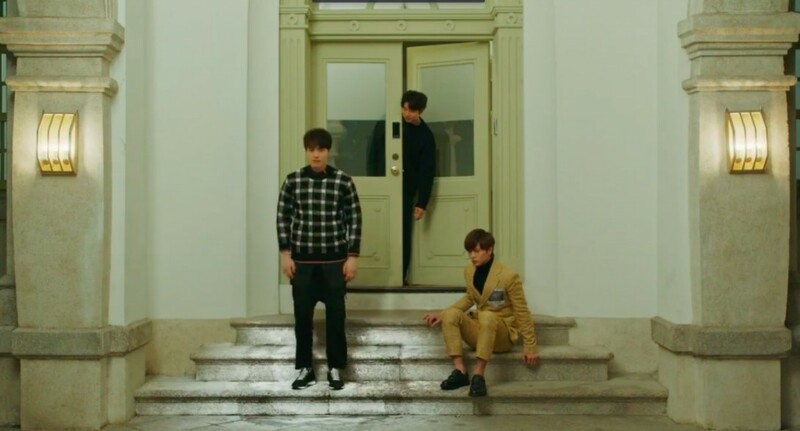 I mean how hard could it be to visit the filming locations of the South Korean drama, Goblin? Hence, I didn’t book a tour, I thought it was an unnecessary expense; I thought wrong. When you watch Korean dramas as much as I do, it wouldn’t take long before you start picturing yourself being in the same places that the drama characters went to. At least in South Korean dramas, it’s not that hard to imagine because they tend to film in beautiful locations, grand historical palaces, charming quaint cafes, and traditional or contemporary houses. Thus, doing a drama tour was one of my goals when I went to Seoul, specifically the Goblin tour. I have a lot of favorites but if I have to pick one, it’s Goblin. Also called, Guardian: The Lonely and Great God, this romantic fantasy series tells the story of an immortal Dokkaebi (goblin) who are searching for his bride. According to the legend, the bride is the only one capable of ending his life by pulling out the sword that was stuck through his body. It starred two of the most brilliant actors in South Korea, Gong Yoo and Kim-Go-eun. The drama is an international hit. In South Korea, it is the first cable drama with over 20% ratings. It has garnered numerous awards and nominations from different award-giving bodies, such as the 11th Korean Cable TV Awards, 5th Annual DramaFever Awards, 12th Seoul International Drama Awards, etc. Goblin has a certain hook to it that draws people in thereby making me an instant fan after watching the first episode. 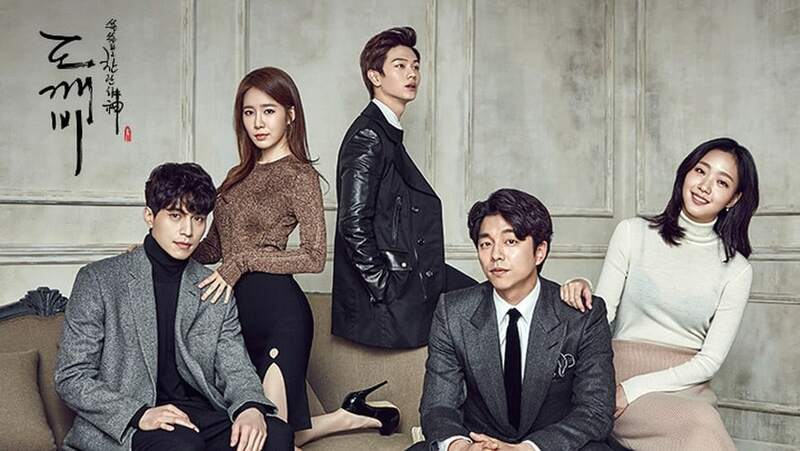 As a Korean drama fan, I thought I have seen it all until Goblin came along to break the mold. It is a well-crafted TV series made in the quality of a movie. It cast the best actors, had an impressive cinematography, production design, special FX, and musical score, and most of all, it has a unique and interesting storyline that is unlike anything I’ve ever seen in a Korean show. Hence, I made a day of a Goblin pilgrimage on my second day in Seoul. But as spoiled by the title, I wasn’t so successful. 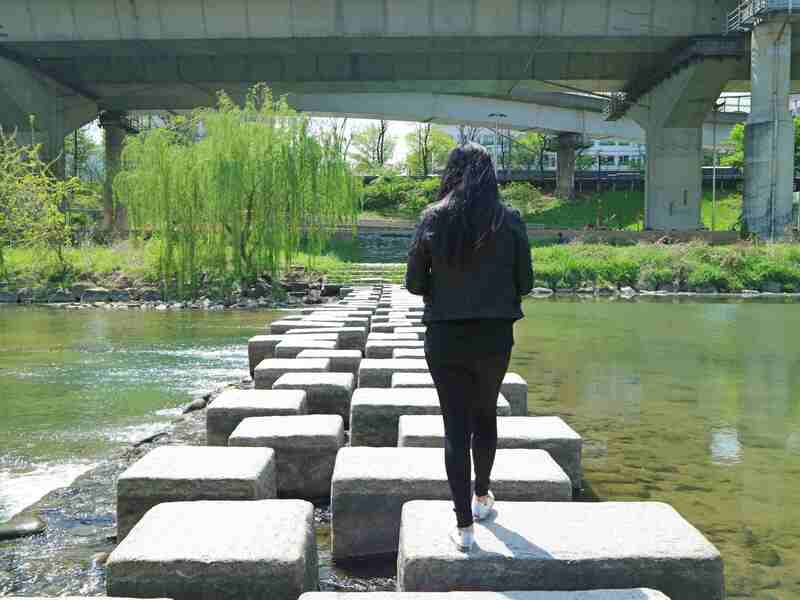 In fact, the only Goblin film location that my friend and I were able to visit is the bridge that was significant to the two supporting characters, Sunny and the Grim Reaper. 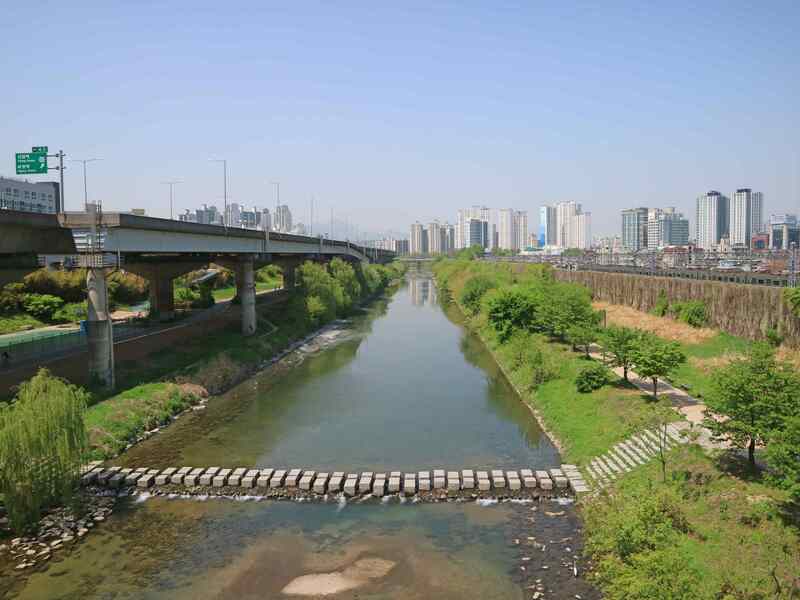 This location can be found at the Yongsan station. 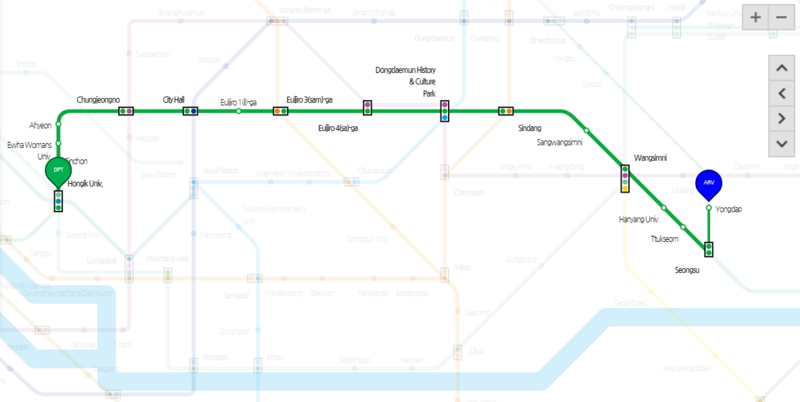 It is 16 stations away from Hongik Univ station with 1 transfer at Seongsu station. Travel time takes about 42 minutes. At Yongdap station, we took the Exit 2. Unlike in the series, the bridge is not a busy place. It sits above a river with humongous fishes (I swear to you they are big, just watch the video at the end of this post). The river itself is beautiful and along the banks is a park where you can see people hanging out, jogging, or cycling. The next location that we tried to find is the Unhyeongung Western House, which in the series, served as the house of Goblin. It can be found inside Duksung Women’s University, unfortunately, it is no longer open to the public. When we asked the guard, instead of telling us honestly that they no longer allow people in, he directed us to another place. Pretty soon, we realized that he was lying. We met two girls from Malaysia who was also in the middle of a DIY Goblin tour. 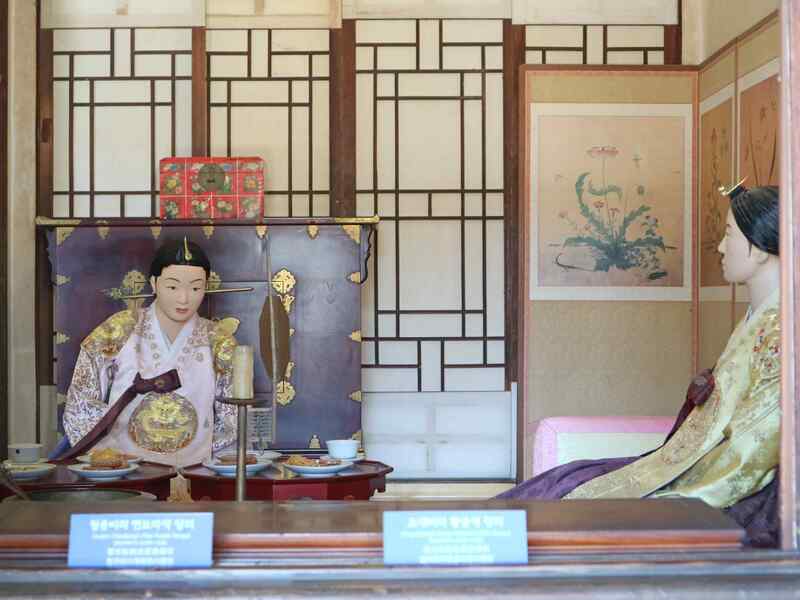 And it is these girls who recognized the house when went inside Unhyeongung Palace. We could only see the top part of the house. I took a picture and thought it as a small consolation for our effort. The trip despite not being a huge success is not a day wasted. 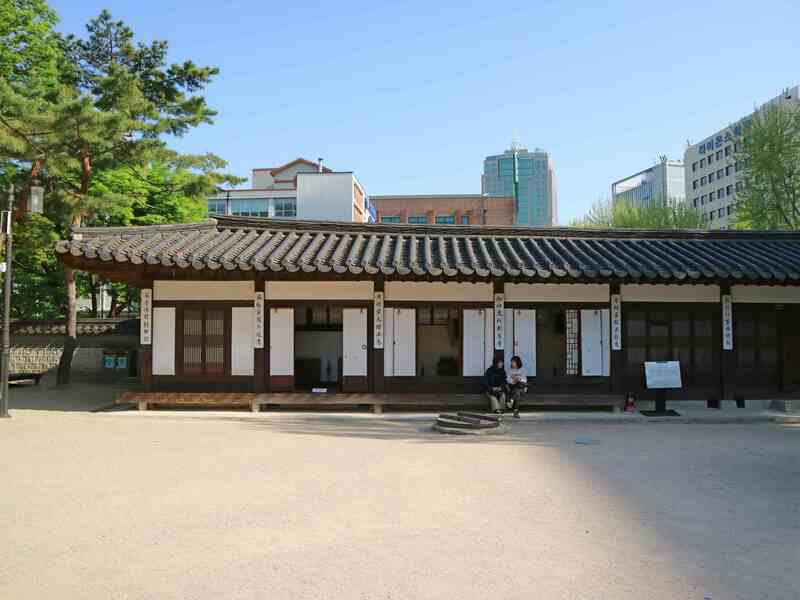 While we were looking for the Goblin’s house, we discovered Unhyeongung Royal Residence. 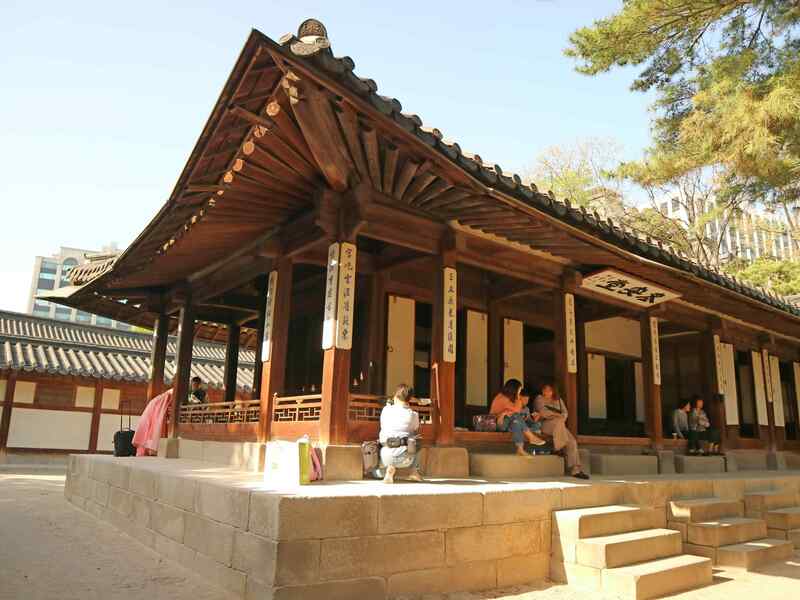 It used to be an old home of Emperor Gojong of the Joseon era. It has 4 gates, men and women’s quarters, and an exhibition hall that displays a collection of old items and artifacts used during that period. Admission is free and it is open daily except for Mondays from 10:00 am to 6:00 p.m; it closes at 5:00 p.m. in winter. One of our major challenges is that fact that my friend and I took a while to figure out how the train system works. As a result, we didn’t have enough time to explore more. I was quite frustrated with how the day went just because I had a plan and it didn’t go the way I wanted it to be. I conclude that maybe paying for a tour may not be such a bad after all, especially in this situation. I know that some people have been successful doing the tour on their own but as you can see I’m not cut out for it. If you are like me who is not that good with directions, going with an organized tour may be your best bet. Here’s a video of our DIY Goblin tour here. By the way, if you haven’t watched Goblin yet, I suggest you do. It’s amazing, promise.